Emmy’s best friend, Oliver, reappears after being kidnapped by his father ten years ago. Emmy hopes to pick up their relationship right where it left off. Are they destined to be together? Or has fate irreparably driven them apart? Emmy just wants to be in charge of her own life. She wants to stay out late, surf her favorite beach—go anywhere without her parents’ relentless worrying. But Emmy’s parents can’t seem to let her grow up—not since the day Oliver disappeared. Oliver needs a moment to figure out his heart. He’d thought, all these years, that his dad was the good guy. He never knew that it was his father who kidnapped him and kept him on the run. Discovering it, and finding himself returned to his old hometown, all at once, has his heart racing and his thoughts swirling. I loved Emmy & Oliver. Loved it! This book is so much more than a romance. It’s about family, friendship, and moving on. When Emmy was in second grade, her best friend was kidnapped by his father. This event caused Emmy’s parents to panic, worry, and become very overprotective. Now, ten years later, Oliver has been found. 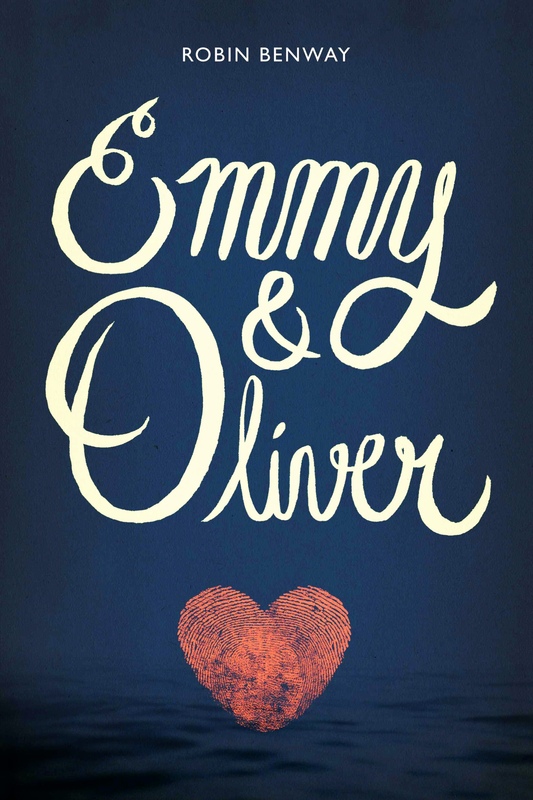 With Oliver back in Emmy’s life, she tries to rekindle the friendship they once had. This is easier said than done as Emmy soon realizes that he is not the same person and neither is she. However, they slowly open up to each other and become closer. I love the friendship (and later on romance) they share. These two are perfect for each other in every way imaginable. Even though Emmy doesn’t always agree with Oliver’s actions, she does try to understand them and be there for him. They listen to each other and learn to trust one another. I loved the dynamic between Emmy and her two best friends, Caro and Drew. These three have such a fun friendship. I love that they could tease each other one minute, but still seriously be there the next. It was great seeing how welcoming they were for Oliver and how they tryied to help him adjust to his new life. Family relationships were a huge part of this book. From Emmy to Oliver to Drew to Caro, each had their own separate family problems and it was interesting seeing how they all played out. Obviously, Oliver’s relationship with his dad was the most complicated. Exactly how are you supposed to feel when you find out the man that raised you had kidnapped you from your mother? Benway did a great job of communicating Oliver’s different emotions. Overall, if you haven’t noticed by now, I loved this book. It was such a heartwarming read. I definitely recommend this book for anyone looking to read about great friendships and complex family relationships.